To roll out its streaming services, Disney is taking majority control of BAMTech, the streaming arm of Major League Baseball, for $1.6 billion. It now owns 75 percent. “This acquisition and the launch of our direct-to-consumer services mark an entirely new growth strategy for the company, one that takes advantage of the incredible opportunity that changing technology provides us to leverage the strength of our great brands,” The Walt Disney Co. CEO Robert Iger said in a statement. 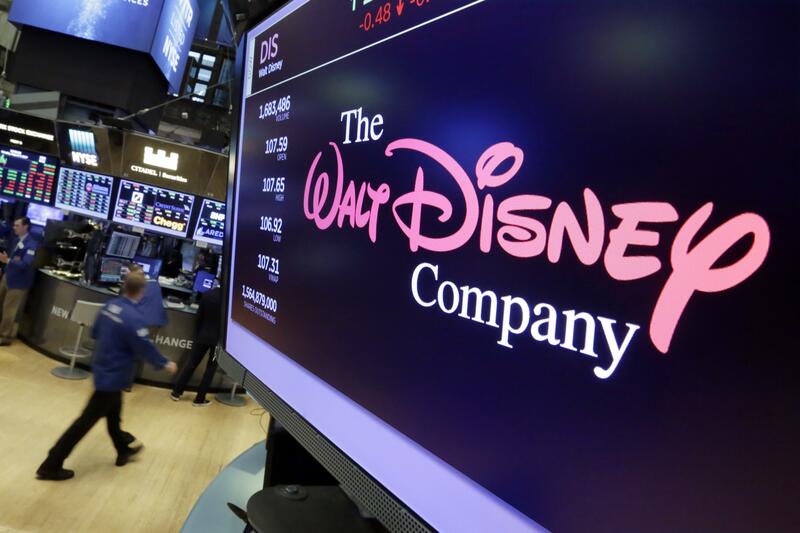 NEW YORK – Disney is launching streaming services for both its movies and live sports, shaking up how it interacts with viewers as it navigates a changing media landscape. The Magic Kingdom will launch a new streaming service in 2019 that will exclusively offer animated and live-action Disney and Pixar movies, starting with releases such as “Toy Story 4” and the sequel to “Frozen.” Along the way, Disney will end an earlier deal with Netflix, which gave the popular service exclusive access to the company’s films for streaming. Disney will also make original movies and shows for the service, which isn’t named yet. It will offer a large library of older Disney and Pixar movies, as well as shows from TV channels Disney Channel, Disney Junior and Disney XD. The company said the service will be available in multiple markets outside the U.S. as well, taking advantage of Disney’s global name recognition. Disney also is launching an ESPN sports service in early 2018 that will air baseball, hockey and soccer games, tennis matches and college sports through ESPN’s popular mobile app. Notably, ESPN will not be streaming pro football or basketball, at least initially. “This acquisition and the launch of our direct-to-consumer services mark an entirely new growth strategy for the company, one that takes advantage of the incredible opportunity that changing technology provides us to leverage the strength of our great brands,” Robert Iger, The Walt Disney Co. CEO, said in a statement. Having BAMTech gives Disney “optionality” if the cable ecosystem changes further, Iger said on a conference call with analysts Tuesday. If there’s greater “erosion” – for example, if more people drop cable bundles or choose cheaper bundles without key Disney channels – the company has more ways to get its entertainment to customers, Iger said. The company announced the shift as it reported flat revenue growth and 9 percent decline in profit for its most recent quarter. Disney said the new ESPN streaming service would offer much of the same content that it offers now through cable television, following other networks that are trying to appeal to so-called cord cutters. On the company conference call, Iger reaffirmed his belief in ESPN, saying that it remains a profitable entity. Disney reported that cable network revenue declined 23 percent largely because of troubles at ESPN. The company attributed the slide to higher programming costs, lower advertising revenue, and severance and contract termination costs. ESPN recently laid off a number of its employees, including prominent on-air talent, as it continues to see customers drop their cable service and flee to rival streaming services. ESPN was also hurt by a decrease in average viewership and the impact of two fewer games of the NBA Finals. Studio entertainment declined 16 percent for the company, which is partially because of the lack of big movies Disney released this year compared to the same time last year. In 2016, the company was carried by a number of movies such as “Captain America: Civil War,” “The Jungle Book,” and “Alice Through the Looking Glass.” The past quarter, major hits such as “Guardians of the Galaxy Vol. 2,” “Pirates of the Caribbean: Dead Men Tell No Tales” and “Cars 3” did not fare quite as well. Still, studio entertainment should finish the year off strong with major movies like “Thor: Ragnarok” and “Star Wars: The Last Jedi” set to hit theaters, the company said. Meanwhile, tourism at its theme parks boosted revenue for the quarter by 12 percent to nearly $5 billion. Revenue from the company’s international theme parks in Paris and Shanghai helped Disney see its sales increase in the busy summer tourism season. In describing the new streaming services, Iger said, the company would create TV shows and movies exclusively for its own branded offering. “It’s not just a defensive move, it’s an offensive move,” he said. Alex Schiffer of the Washington Post contributed to this report. Published: Aug. 8, 2017, 3:42 p.m. Updated: Aug. 8, 2017, 4:31 p.m.